With Spring in full bloom, your kids will be itching to get out of the house and do something fun. 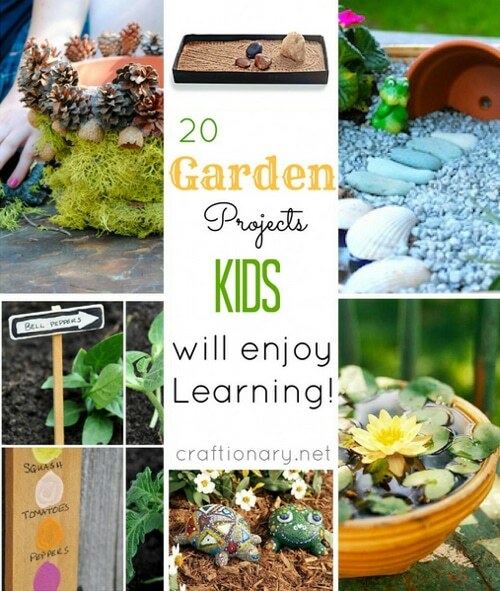 Here are 20 creative ideas designed to get them interested in garden projects. Have you ever seen a sponge grass house? Learn how to grow potatoes in a bucket. Or, how about making your own butterfly feeder? Now is the time to put down the Playstation and pick up some paintbrushes with your kids.